When properly harnessed, data can be a potent talent management tool. Talent analytics can provide valuable insight and help remove the guesswork from your development strategy. However, not all data is equal – or equally appropriate for every situation. The key to a successful talent analytics campaign is knowing which data to collect, as well as how to interpret your findings and present them to stakeholders. 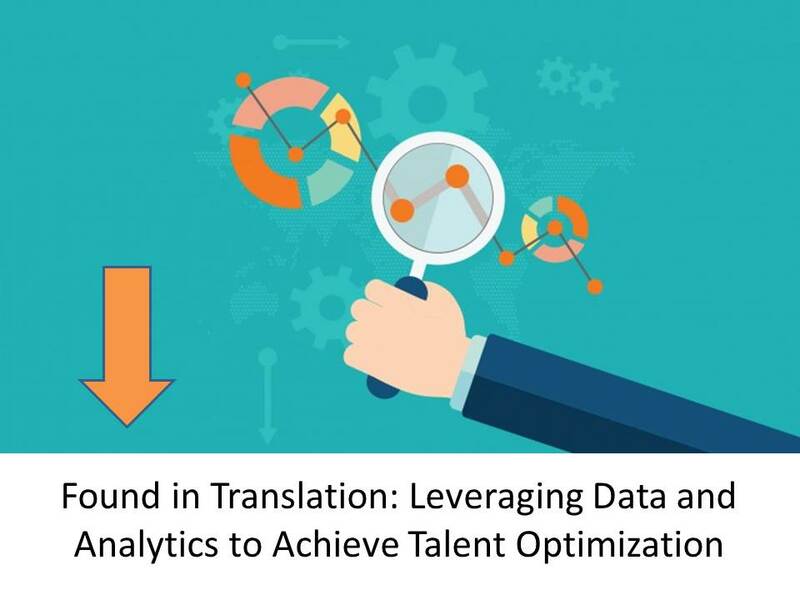 Enter your email address to download “Found in Translation: Leveraging Data and Analytics to Achieve Talent Optimization,” and learn how a talent analytics campaign can improve your company’s development initiatives.